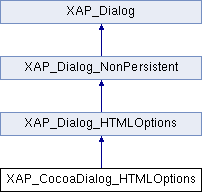 References ABIWEBDOC, ALLOWAWML, XAP_Dialog_HTMLOptions::can_set_Allow_AWML(), XAP_Dialog_HTMLOptions::can_set_Declare_XML(), XAP_Dialog_HTMLOptions::can_set_Embed_CSS(), XAP_Dialog_HTMLOptions::can_set_Embed_Images(), DECLAREXML, EMBEDCSS, EMBEDIMAGES, XAP_Dialog_HTMLOptions::get_Allow_AWML(), XAP_Dialog_HTMLOptions::get_Declare_XML(), XAP_Dialog_HTMLOptions::get_Embed_CSS(), XAP_Dialog_HTMLOptions::get_Embed_Images(), XAP_Dialog_HTMLOptions::get_HTML4(), XAP_Dialog_HTMLOptions::get_PHTML(), IS4, and m_dlg. Referenced by event_RestoreSettings, event_SaveSettings, runModal, toggle_AbiWebDoc, toggle_AllowAWML, toggle_DeclareXML, toggle_EmbedCSS, toggle_EmbedImages, and toggle_Is4. References m_dlg, refreshStates, and UT_ASSERT. References m_dlg, refreshStates, and XAP_Dialog_HTMLOptions::set_PHTML(). References m_dlg, refreshStates, and XAP_Dialog_HTMLOptions::set_Allow_AWML(). References m_dlg, refreshStates, and XAP_Dialog_HTMLOptions::set_Declare_XML(). References m_dlg, refreshStates, and XAP_Dialog_HTMLOptions::set_Embed_CSS(). References m_dlg, refreshStates, and XAP_Dialog_HTMLOptions::set_Embed_Images(). References m_dlg, refreshStates, and XAP_Dialog_HTMLOptions::set_HTML4(). Referenced by refreshStates, runModal, toggle_AbiWebDoc, toggle_AllowAWML, toggle_DeclareXML, toggle_EmbedCSS, toggle_EmbedImages, and toggle_Is4.